No longer do people living in the Sutherland Shire or Southern Sydney have to travel into the city to receive the most up-to-date dental implant treatment. Located within the Jacaranda Dental Surgery at 278 Kingsway Caringbah, NSW Southside Implant Centre's state-of-the-art facilities are readily accessible and convenient for patients seeking the latest and most effective dental implant treatments. Successful dental implant treatments are all about confidence, your confidence in the dental surgeon providing your treatment and the confidence you will gain with a new smile, white teeth, no more gaps or by being able to throw away your dentures. At Southside Dental Implants we use the most modern techniques and implant types and maintain a rigorous program of ongoing studies and education to ensure that our patients are receiving the best possible treatment available. Treatments vary according to the needs of the patient and the condition being treated. 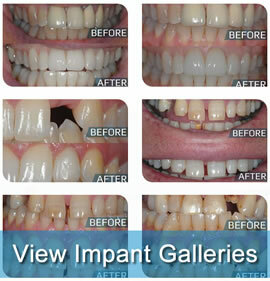 Patients of Southside Implant Centre receive the most suitable implant treatment not just the quickest. Before any treatment is recommended or commenced we talk to the patient to ascertain their requirements and what they are looking to achieve from their treatment. We then assess all of the options available and recommend the treatment which we consider will provide the optimum result. All patients are, at all times, are fully informed about their treatment and what is involved in the treatment that they are receiving. We also appreciate that some patients are particularly nervous about dental treatments – we have special practices to assist those patients. Once your implant treatment is complete, Southside Implant Centre and Jacaranda Dental have the skills and knowledge to correctly service and maintain your implants to ensure long term success.